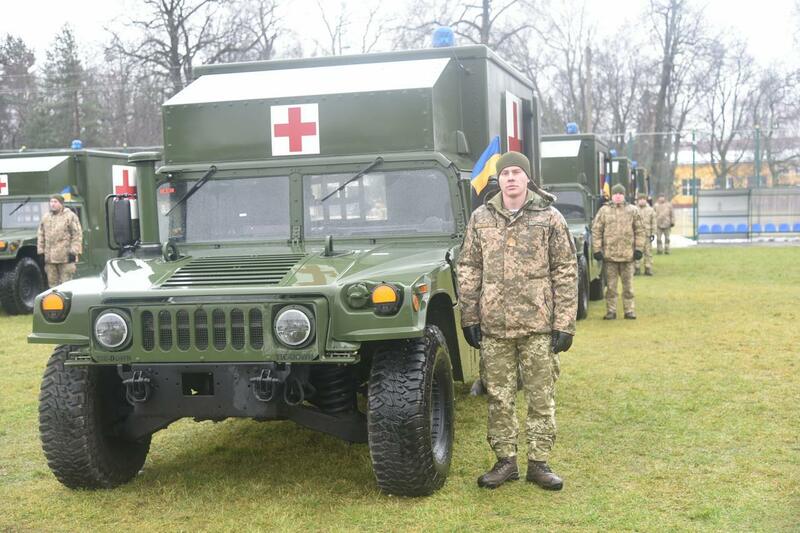 As part of the Ukrainian Armed Forces Day celebrations, a ceremony was held where 40 state-of-the-art military ambulances were given to the Ukrainian Ministry of Defense from the U.S., Dec. 6, at the Yavoriv Combat Training Center. 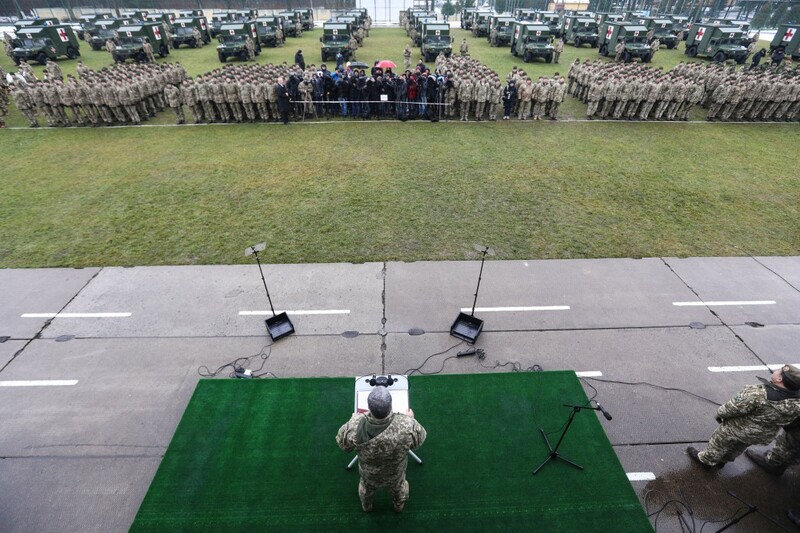 The ceremony symbolized the long-standing cooperation of the U.S. and Ukrainian governments, and the coordination of defense and sovereignty of Ukraine. 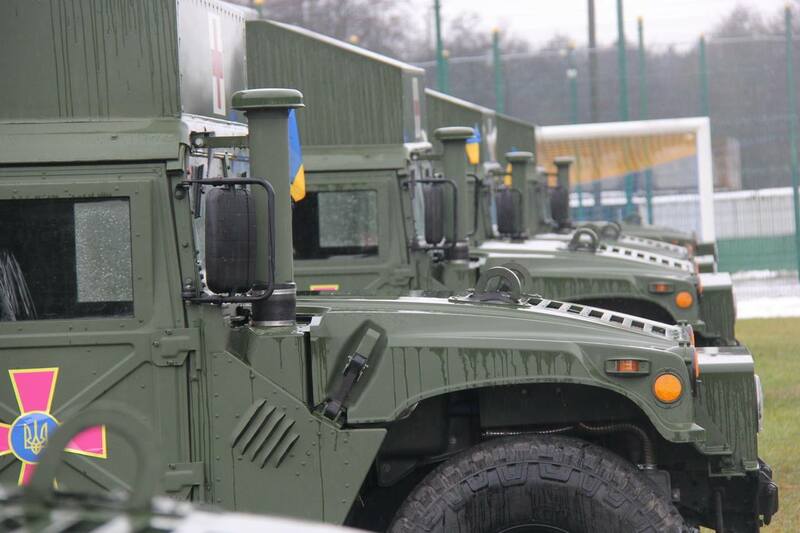 President Petro Poroshenko of Ukraine gifted the American-made vehicles to Ukrainian units in attendance, as well presented awards to the Ukrainian units and soldiers for their actions. U.S. Brig. Gen. Dennis P. LeMaster, the commander of Regional Health Command Europe, was also in attendance as a distinguished representative of U.S. Army Europe. 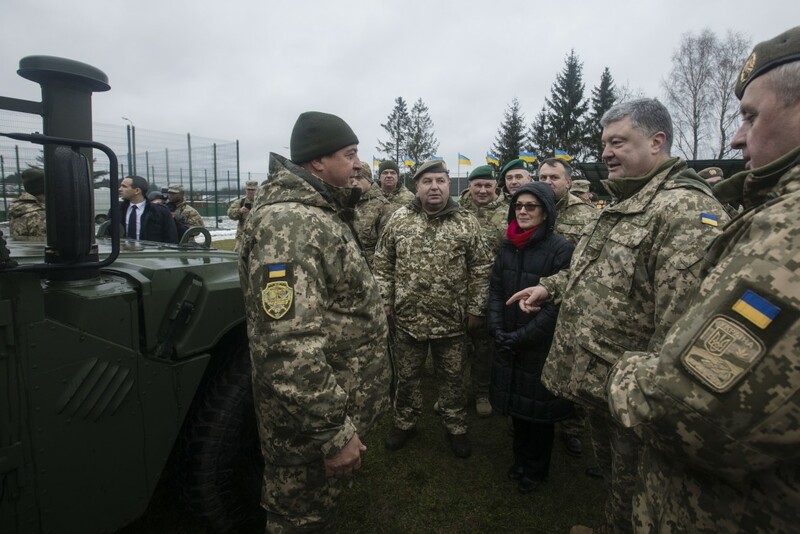 Soldiers of the Ukrainian rotational unit who are training at the Yavoriv Combat Training Center were also present, as well as representatives of the various military branches and departments. U.S. 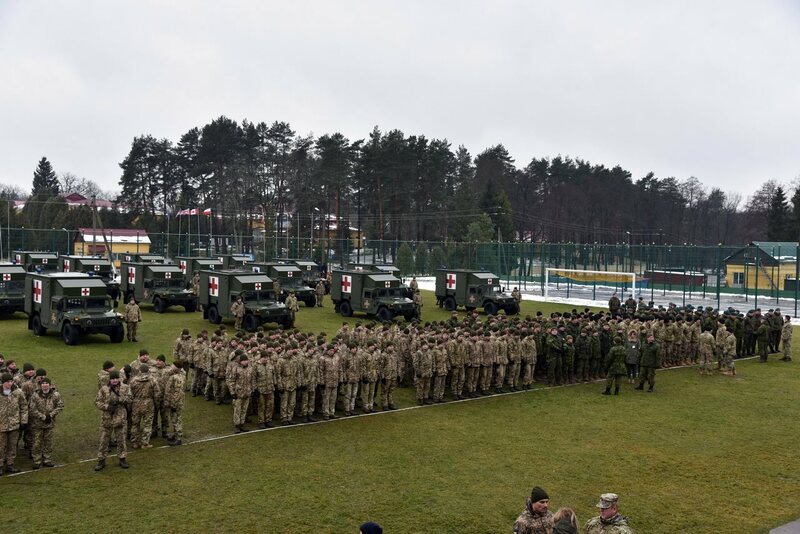 Soldiers in Joint Multinational Training Group - Ukraine's 27th Infantry Brigade Combat Team (forward), "Task Force Orion," and soldiers of Canada, Lithuania, Poland, Denmark and United Kingdom were all in attendance showing their support. The M997A2 four-litter ambulances or "maxi-ambulance" are capable of transporting up to four litter patients, eight ambulatory patients, or a combination of litter and ambulatory patients. Additionally, medical personnel, equipment and a driver can be accommodated in the vehicle. 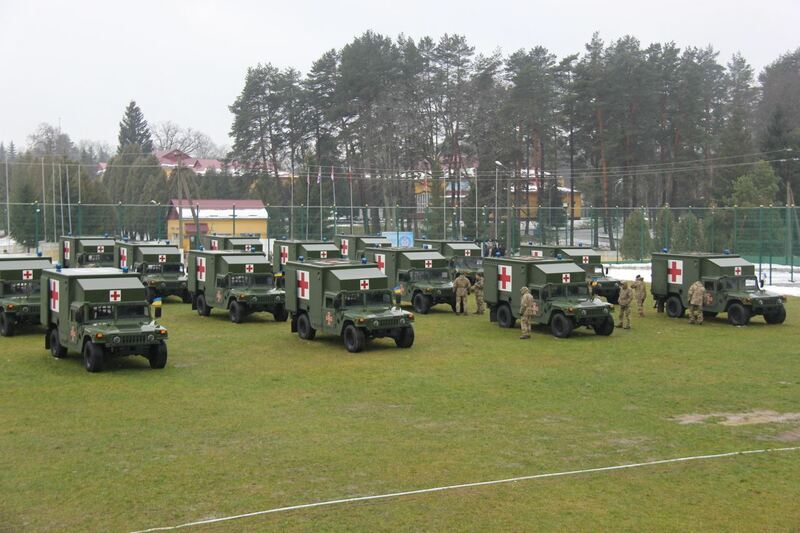 According the U.S. Europe's Office of the Command Surgeon, the U.S. will equip a total of 60 ambulances for Ukrainian Armed Forces from 2016-2018, at approximately $355,000 each.